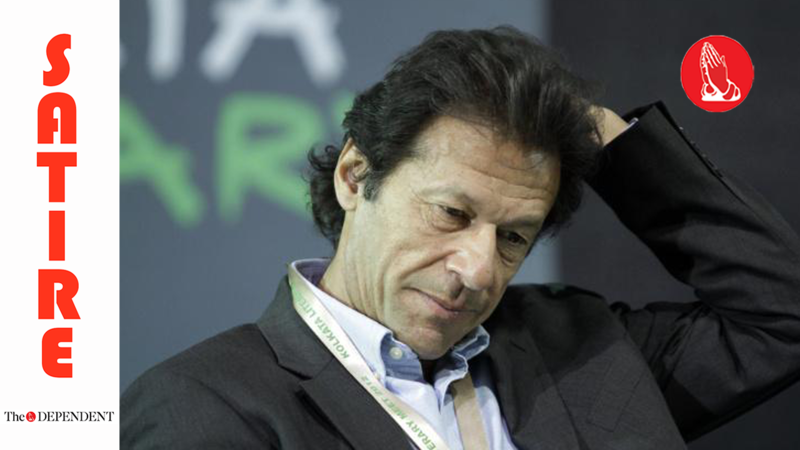 LAHORE – Defending his comments against the parliament during Wednesday’s rally on Lahore’s Mall Road, Pakistan Tehrik-e-Insaf (PTI) Chairman and former captain Imran Khan has clarified that ‘laanat’ is a cricket term. “The word is a common cricketing term used locally,” Khan said in an exclusive interview with The Dependent. “My intention was never to use these terms as derogatorily. Terms such as these are used for cursed players. These are mere club cricketing terms,” he said. “If I had used cursed in place of laanat, nobody would have noticed it,” he added. “Laanati is a player who neither bowls well nor bats well, like a 12th man who cannot even get a position in his own national team,” Khan further said. Earlier, Khan had come under criticism for saying ‘laanat ho aisi parliament pe’, (curse upon such a parliament) on Wednesday. Earlier Khan had also clarified that shalwaar geeli ho jaana is also a cricket expression. “In fact there are many cricket words that I’ve used on WhatsApp that people have been interpreting as harassment,” Khan said. “They too haven’t won a cricket world cup.